New York Attorney General Eric Schneiderman says he is joining with peers in California and several other states to file a lawsuit to protect the insurers' subsidies. "Based on guidance from the Department of Justice, the Department of Health and Human Services has concluded that there is no appropriation for cost-sharing reduction payments to insurance companies under Obamacare," the White House said in a statement. "In light of this analysis, the Government cannot lawfully make the cost-sharing reduction payments." Many analysts and advocacy groups say this is just part of an ongoing campaign by the Trump administration to undermine the Affordable Care Act, also known as Obamacare. 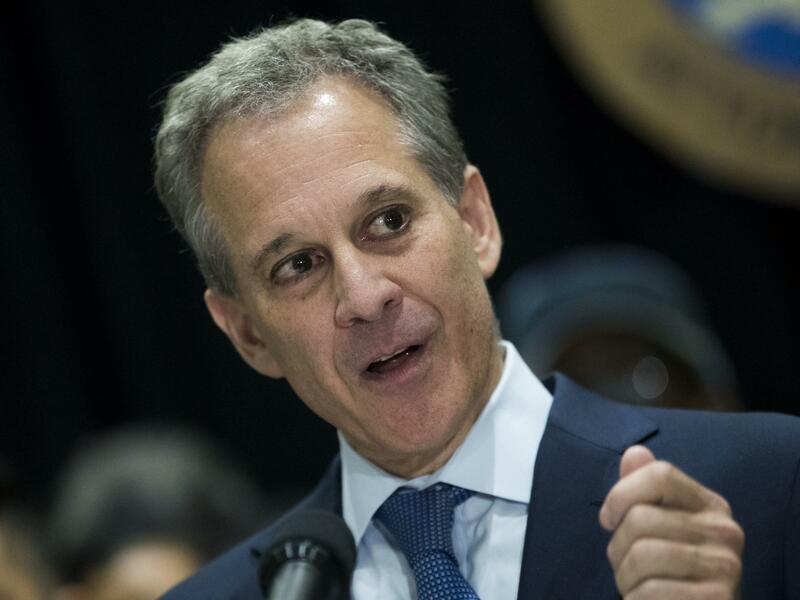 New York Attorney General Eric Schneiderman says he is joining peers in California and several other states in filing a lawsuit to protect the subsidies. Schneiderman says the lawsuit will argue that the subsidies are codified under the ACA, and therefore, they must be paid as long as the health care law remains in force. Eliminating the subsidies is "breathtakingly reckless," he said. "This move is unacceptable, it's cruel, and it is unlawful." Covered California, the state's health care exchange, told insurers to add a 12.5 percent surcharge to their silver-level policies to offset the loss of subsidy payments. Six physician organizations, including the American Academy of Pediatrics and the American Academy of Family Physicians, said in a joint statement they're "alarmed" by the administration's move. The decision "stands to hurt the most vulnerable individuals and families, raising cost for them and the federal government." White House Budget Director Mick Mulvaney says the president won't support a bipartisan effort led by Sen. Lamar Alexander, R-Tenn., and Patty Murray, D-Wash., to fund the subsidies along with other changes. "Is the president interested in continuing what he sees as corporate welfare and bailouts for the insurance companies? No," Mulvaney said in an interview with Politico on Friday. Insurance companies tried to reassure their current customers that things have not changed, yet. The trade group America's Health Insurance Plans and Blue Cross Blue Shield Association said in a joint statement that the payments aren't bailouts: "These benefits help real people every day." The insurers said they will fight to keep the subsidies. Daniel Hilferty, CEO of Independence Blue Cross in Philadelphia, sought to ease the worries of his customers. "We want to assure our members that their coverage remains in effect and unchanged." Then he added, "We are currently evaluating what this announcement may mean for individual consumer plans in the future."